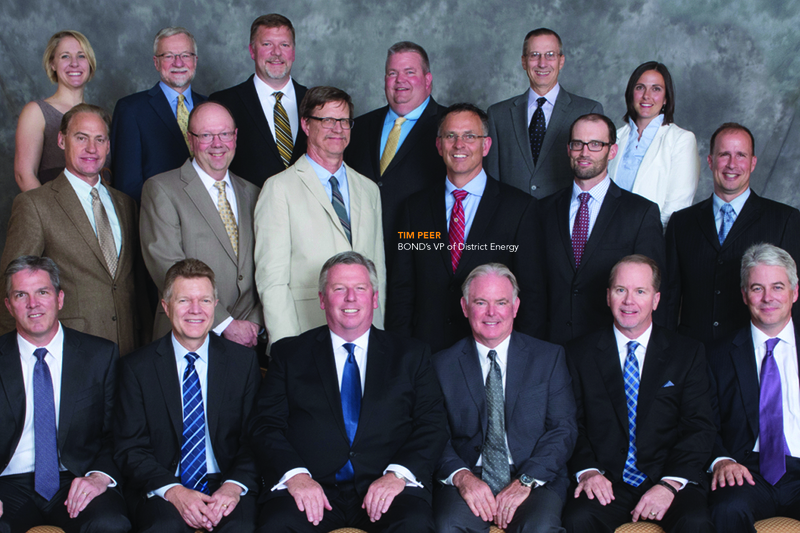 (Boston, MA) – BOND, the Northeast’s premier building, civil, utility and energy construction firm, announces that Tim Peer, P.E., BOND’s Vice President of District Energy, was appointed to the Board of Directors of the International District Energy Association (IDEA), at the 2017 annual conference and tradeshow in Scottsdale, Arizona. IDEA is one of the energy industry’s foremost organizations representing over 2,200 members from 26+ countries. Its mission is to foster leadership in providing reliable, economical, efficient and environmentally sound district heating, district cooling and combined heat and power. Tim has been actively involved with IDEA for over 20 years and now joins its board of industry leading professionals from around the globe. Tim is responsible for leading BOND’s District Energy market sector, with a focus on developing new strategies and integrated solutions that exceed client expectations. A licensed professional engineer, Tim has over 25 years’ experience in the evolving power and energy industry, specializing in campus district heating, cooling and micro grids. He has led the construction of many complex projects, including central utility plants and distribution systems, as well as natural gas delivery systems and substations. For more information on IDEA, visit www.districtenergy.org and please visit the BOND website at www.bondbrothers.com to learn more about district energy and power generation services.